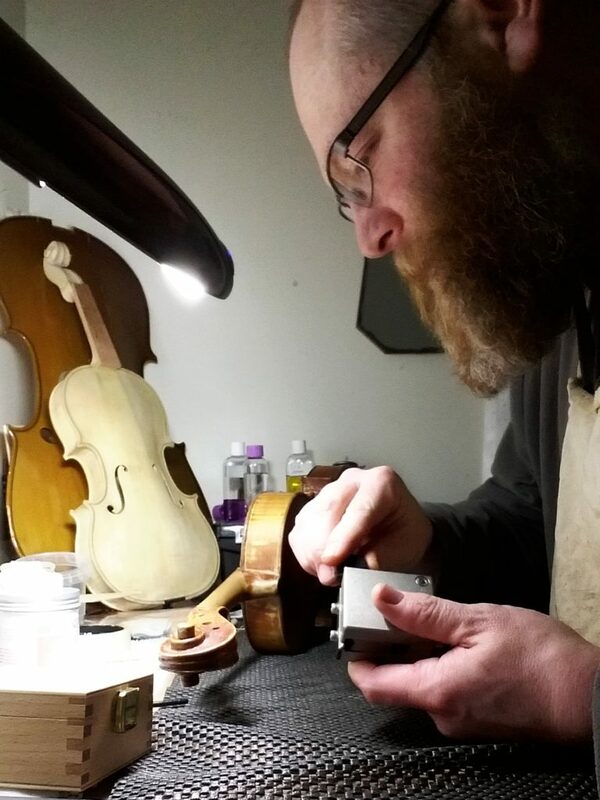 Russell Berliner was awarded some money to help him developing as a violin repairer and restorer. I would like to thank the RAB Trust for the generous award for funding to cover the purchase of of the Weisshaar book and a peg shaper. The book has been inspirational and has given me the confidence to try different repairs and approach restorations from different perspectives. It really is an invaluable reference; it will help to further my career and is already an integral reference in the workshop. In my final year of college, I was starting to worry about the tools I would need to continue with my progression. There are only so many jigs and tools you can make yourself, the RAB Trust have really helped, thank you again!